Since the day she was born, Barby Anna Parrish Williams not only found joy in every day, she created it for so many others in so many unforgettable ways. Although not a WASP, she has more than earned a place of honor here on the pages of WASP Final Flight. She was a true WASP Champion, my only sister — the youngest daughter of WASP Deanie Bishop Parrish. 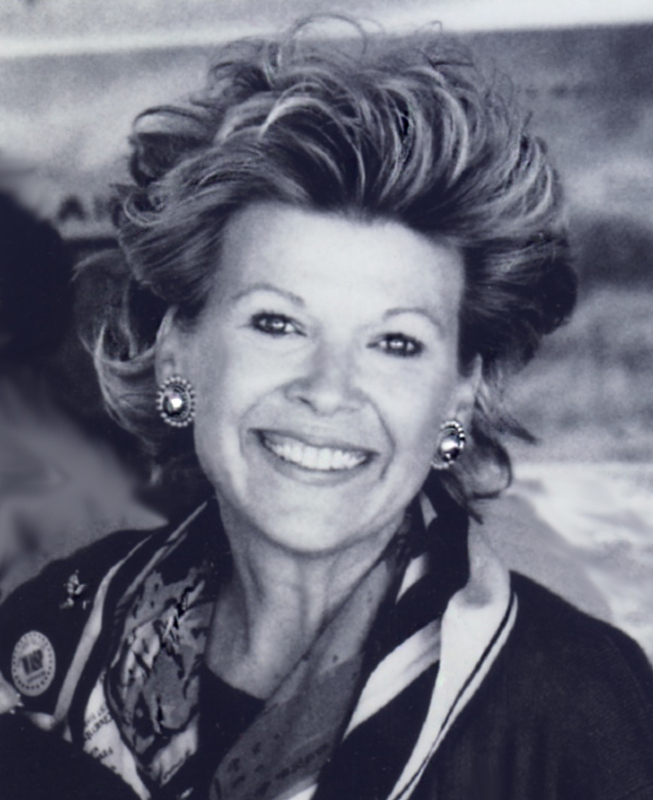 Barby was a passionate visionary, a mountain mover and a world-class encourager. Because of her enthusiastic support seventeen years ago, Wings Across America was able to truly take flight. Over the past few decades, despite her own busy life, family and career, her enthusiasm and support never wavered. Many who have attended Oshkosh, a WASP Convention, the WASP Museum opening, the Fly Girls Exhibit opening at the Women’s Memorial, the Congressional Gold Medal Ceremony, or countless other events might just remember Barby. She was as beautiful inside as she was outside, with a warm, gracious smile and an endearing sense of humor. She was the first to extend a hand and make a stranger feel welcome. Barby was an extraordinary gift from the first time I met her, 61 years ago last January. Mom placed her in my lap on the way home from the hospital, but God really kept her in the palm of His hand all her life. She made the most of every single moment. She had a passion for her faith, her family and a heart for service. She made time for what was truly important and she made a difference in the lives of those she touched. Respectfully, this posting is in memory of my sister, Barby, who was welcomed into Heaven on November 13, 2015. On January 8, 1954, at Tokyo General Hospital, Japan, a beautiful, blonde, blue-eyed baby girl was born to Air Force Captain William A. and Deanie Bishop Parrish. The couple named her “Barby" after a family friend, and "Anna" after her maternal grandmother. In 1955, now Major Bill Parrish was transferred to West Palm Beach, Florida and just one year later, to McGuire AFB, New Jersey. In 1960, Bill was transferred to Maxwell Air Force Base, Montgomery, Alabama, where Barby started kindergarten. Nine months later, when Bill was transferred to Ellington Air Force Base, Barby started her formal schooling in Houston, Texas. After graduating with honors from Houston's Milby High School, she moved to Waco in the Fall of 1971 to attend Baylor University. She began her college career as a music education major, and soon became an active Athenian (now Kappa Kappa Gamma). She made life-long friends, was honored as a Baylor Beauty, and met the love of her life, Dale Williams. In 1975, after graduation, Barby and Dale married and began their incredible 40-year journey together. As a newlywed, she taught 5th and 6th graders music in Bosqueville while Dale attended Baylor Law School. The young couple was blessed with two children, Brady and Brook. Barby treasured family, and her proudest accomplishments were her children and grandchildren. Barby was a co-founder of Waco Baptist Academy and served as President of the Board. The school presents the Barby Williams “Faithful Servant Award” and scholarship each year to the student most deserving. She founded and taught a women’s Sunday School class at Columbus Avenue Baptist Church for many years, as well as founded 1st Call to Prayer at Baylor University. Barby enjoyed many summers with family in Colorado, where her love for the mountains and horseback riding began. She cherished family vacations, especially trips to Disney World with her children and grandchildren. As the owner of Roots Boutique in downtown Waco, Barby passionately served her customers and mentored her beloved employees. Her creative talent and effortless eye for fashion were on full display as she ran the top clothing boutique in town. A steadfast optimist, Barby’s inner strength and contagious confidence created a desire in each of us to be the best possible version of ourselves. All who knew her witnessed her faith in Christ, her resolute kindness, her persistent joy and tenacious selflessness. Above all, her deepest desire was to serve the Lord through serving others. She was preceded in death by her father, Lt. Col. William A. Parrish. Left to honor her memory are her husband, Dale Williams, Waco; son, Brady Williams, and wife, Kim, of Newport Beach, California; daughter, Brook Henry, and husband, Michael, of Dallas; mother, Deanie Parrish, Waco; sister, Nancy Parrish, Waco; and grandchildren, Logan Henry, Jonah Henry, and Charley Williams. In lieu of flowers, the family requests donations to the Barby Williams “Faithful Servant Award” and Scholarship at Waco Baptist Academy. A service to celebrate her life was held at 10:00 a.m., Thursday, November 19, at Seventh and James Baptist Church with the Rev. Steve Childers officiating. The service was followed by a reception at the Bill Daniels Student Union Building on Baylor Campus. She was determined to continue spreading joy by making unforgettable memories with her family. She did. She was lifted each day by her own steadfast faith and optimism. She was courageous and she was, without a doubt, absolutely inspirational. Today, we are at peace, missing her terribly, but knowing that she celebrated this Christmas with her savior, our dad and grandparents and so many others we have said goodbye to over the years. Yes, too young. Yes, too soon. Only God knows the bigger picture. What He has left me with, personally, is a peace I can't explain and a joyful gratitude for her being a part of my life. I will miss her every single day until I see her again... and every time I hear gentle laughter or see a child's face light up with joy, every time I see someone take an extra moment to be kind or encouraging or make the effort to create an extra special moment, I will think of her. She was greatly blessed, highly favored and used her remarkable gifts to joyfully lift and challenge us all to fly higher in everything we do. Finally, a passage that is featured in Randy Alcorn’s book, “In Light of Eternity,” which played a significant part in Barby’s knowledge of and delight in her eternal home. Until I see her again, I rest in His promises and am bathed in His peace. I pray that same peace for you and yours. God bless you all. We didn't have the chance to meet Barby in person, but look forward to meeting her and the rest of the WASP in heaven. My wife and I are reminded of what our Pastor Bob of Tulare First Baptist Church says, "God is great... all the time." Nancy, you have eloquently covered everything; a wonderful tribute to your sister. Your brother and sister in Christ.